Viacoin on Twitter: "Before releasing Viacoin Eclair we will soon run a closed beta test round. We will randomly select a few people to join the closed test.  Reply to this tweet if you are interested in becoming one of the first people to use the Viacoin Lightning Network! $VIA… https://t.co/o2kg1fMYI2"
Ledger Live's full version is live: Android users can connect their Ledger Nano S with an OTG cable to manage their crypto assets through their smartphone. Viacoin Electrum thin client. Contribute to viacoin/vialectrum development by creating an account on GitHub. We are excited to announce that Viacoin is now one of the few cryptocurrencies that can be used as a payment method on www.bitcoinsuperstore.us . Bitcoin Superstore offers a great range of giftcards from Wallmart, Nike, Starbucks, Amazon, Visa and many more. Beside offering giftcards you can also use their website to purchase goods from over 200,000 retailers! Buy From Any Online Retailer Using Bitcoin, Bitcoin Cash, Dash, DigiByte, Ethereum, Litecoin, Monero, Nano, TRON, Verge, XRP, Viacoin, & Zcash! Cryptocurrency payment gateway for WooCommerce and Easy Digital Downloads. Accept 90+ coins: Bitcoin, Ethereum, Litecoin, and more. A few weeks ago we teased our new ‘Viacoin accepted’ stickers on Twitter. Viacoin is thrilled that we are now part of the Blockfolio Signal beta. We are looking forward to sharing our updates and announcements with the Blockfolio community.